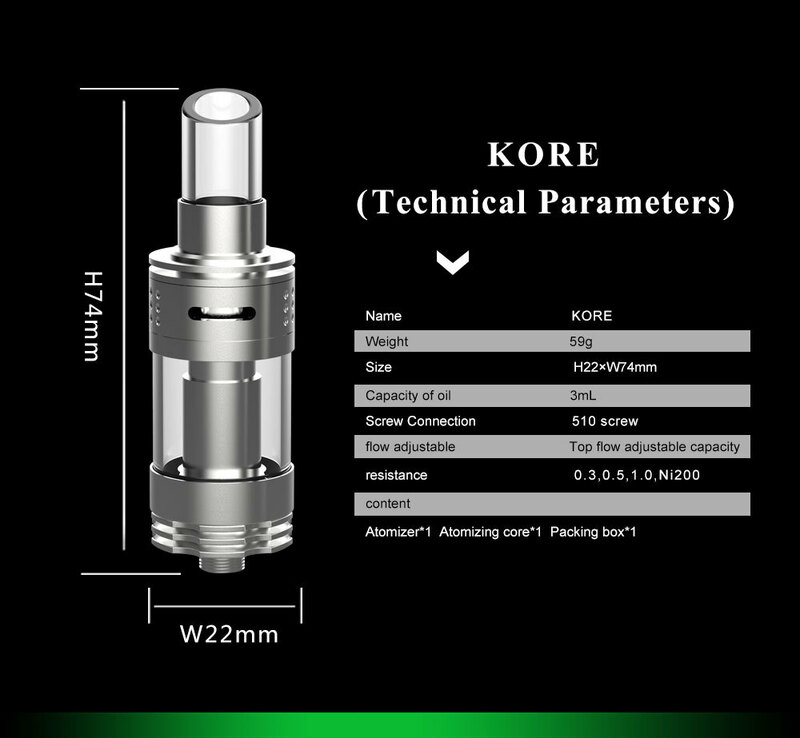 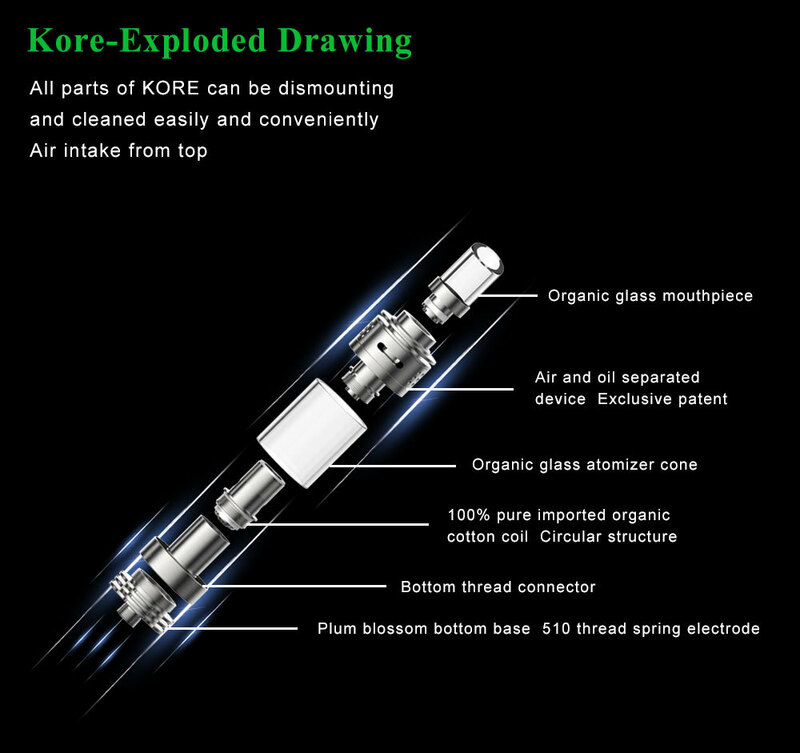 The KORE Sub-Ohm Clearomizer is a unique tank that separates the Air intake from the e-Liquid so that the air-flow control is at the top to prevent leakage. 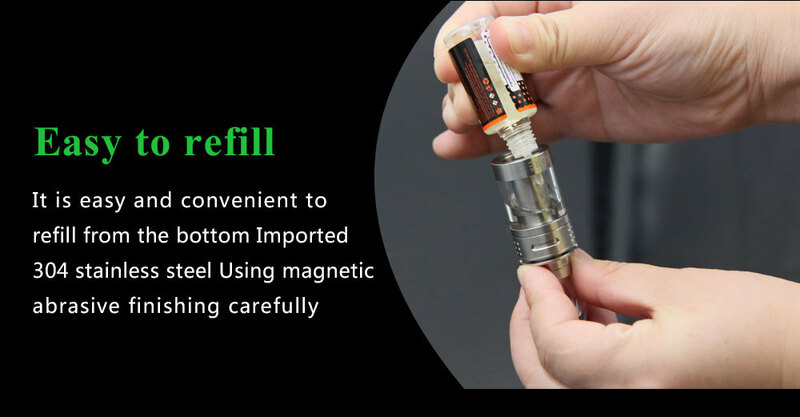 It uses 100% USA made Kanthal wire, Japanese Organic Cotton, 304 Stainless steel, Pyrex Glass and Glue Free. 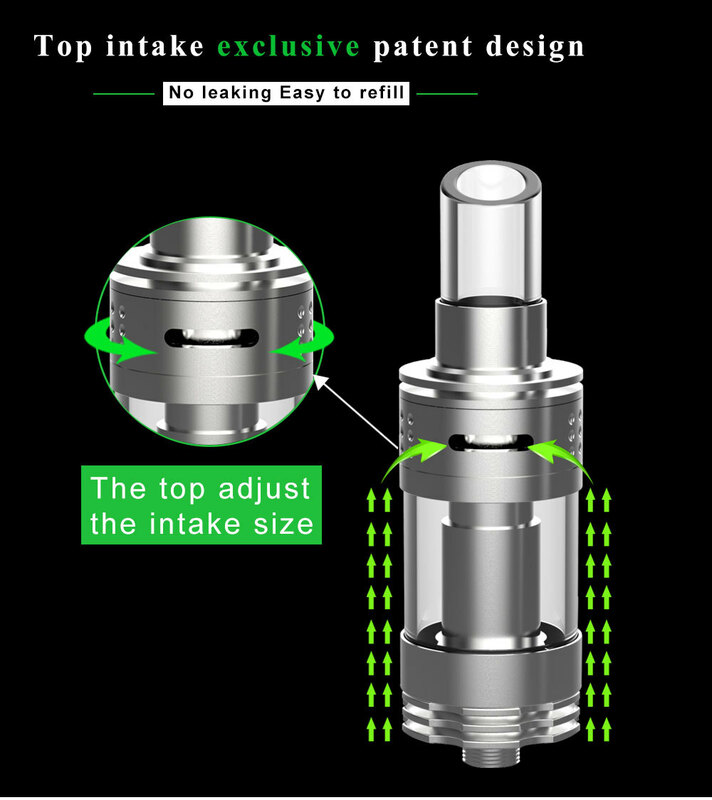 This tank is best with the Cloupor GT 80W.